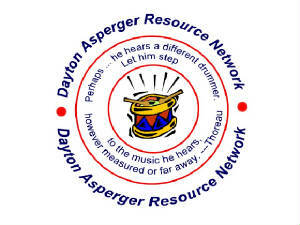 The group was formed to meet the needs of families who children have been diagnosed with Asperger Syndrome (AS) or other High Functioning forms of Autism (HFA). DARN functions basically as a local support group whose members represent a diverse mix of economic status, cultures & religions. Collectively, our members hold a wealth of knowledge. Each of us holds a piece of the puzzle that another person just might need. Collectively, we can mend lives fragmented by Asperger Syndrome. Together we can make the journey a little more manageable. We will lend a listening ear and an empathetic heart. they just need the right tools. The DARN web sites, newsletters and emails are not intended to be comprehensive list or statement of all potential or available options either locally, nationally or internationally. DARN assumes no responsibility for the use made of any information provided by the DARN web sites, newsletters and emails. Inclusion or exclusion of a resource or information contained within the DARN web site, newsletters, and emails should not be construed as an endorsement, recommendation, or condemnation of specific treatments, therapy options, service providers, presentations, seminars, symposiums, websites, and organizations. These resources and options are provided just as potential resources and as a means of acquiring information for self edification. You, as an information consumer, are ultimately responsible for further investigating these options and alternatives by consulting with a trusted and experienced professional to determine and establish the best course of action and treatment for an individual who has or may have Autism Spectrum Disorder which includes Asperger Syndrome. Individuals should seek and receive services, treatment, and therapy only from a qualified medical professional. As always, if you are uncomfortable with a doctor or treatment, seek a second opinion.